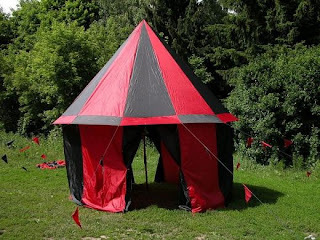 Songs from the Forest: Tents! The wonderful, the impractical, the stupid. Huzzah! Why camp in the same old boring tents you find at Cabela's (or even worse, Walmart) when you can stand out in a fine medieval number such as the one above. You see, tent manufacturers lie to you all the time. I don't care what kind of guarantee they give you, the tents are still toast after a decent storm hits them. 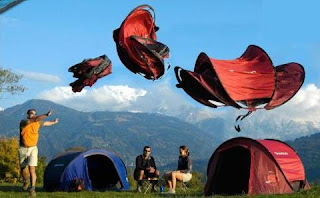 Or if you don't pack it up with the same mechanical precision it was done at the factory (or a drop of water is trapped in it) it's not likely your $300 tent is going to make it through more than a few trips. 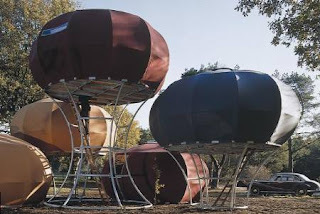 So if you are going to blow a fat wad on really temporary shelters, might as well let yourself stand out. Especially if you, God forbid, find yourself in one of those five feet from your neighbor campgrounds. So here we go, Angela's wild and wonderful tent tour! 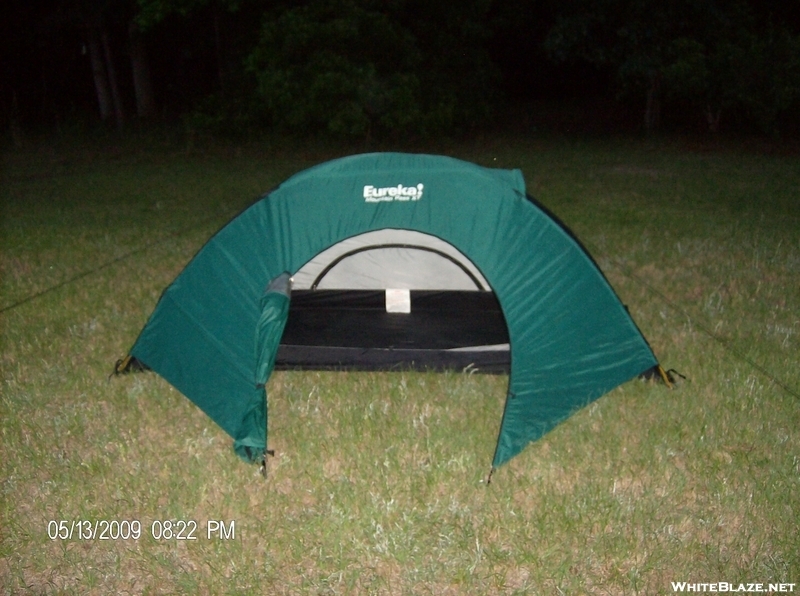 So we start out with your standard tent below. They are hard to stand up in and it is a real pain in the a** to zip and unzip the door. And the zipper gets stuck. Maybe easier to put up than most, but what I really hate is remembering to step up out of them in the middle of the night when I have to conduct nightly business, if you know what I mean (trip and fall city!). Pretty much for sleeping only! Now here's what I'm talking about! This is camping in style. Looks easy to put up too, although you might have to haul it in a separate trailer. 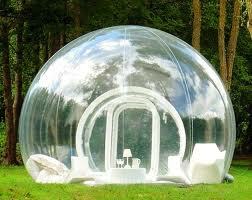 You can stand up in it, and it comes with mosquito screens. 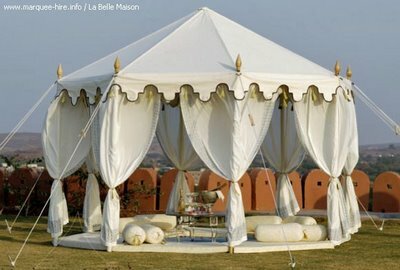 Probably won't stand up to any bad weather, but one of the major purposes of this tent is to show off anyway. Just keep checking the weather reports while you are sitting in this fantabulous tent being the envy of everyone else at the Possom Hollar KOA. Oh now this is the tent for me. 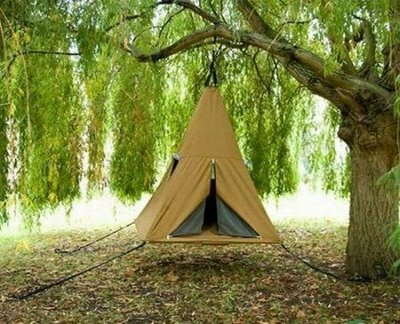 If I took this beauty camping I would have to make sure I was near water so the swans I brought could swim near it. Also I could hire someone to come fan me with a big, white, fluffy, feather fan all day. A bit too much perhaps, but not as overdone as the next one! Wow. Check this out. 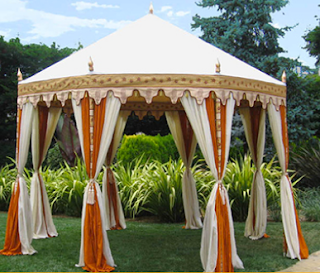 It's a fairy tale tent that someone actually got married in! I can't imagine the groom that would consent to that. Whoever he is, I bet he was actually trying to conceal a big secret from his mother (if you know what I mean, again). And now on to the impractical. I like the idea of being off the ground and all, but you would probably need a semi to haul this tent to the campground. One fierce storm in this thing and you'll be camping in a dirigible. 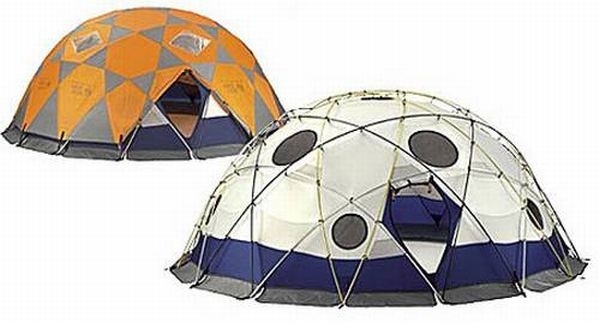 Plus these tents probably cost more than your car. Okay, this next one? Great design and all but you can't stand up in it, and it looks like a thousand point entry for mosquitoes. I'm sure it ain't cheap and it doesn't look all that rain proof to me. Looks like a tent that a nerdy engineering student would design to impress a girl. Pass! Oh now here we go. Designed to keep your neighbors staring at you FULL TIME. Actually when my family camps, people stare at us all the time without an interesting tent, but that is another post. Again, one fierce storm and you'll get a rolling tour of the entire campground and an up close and personal view of all the people you plow over. It still would be fun having this tent though if you were around a lot of people. You could be inside pretending you were choking each other and a whole host of other bizarre and crude charades. Would work especially well for mooning over-zealous park rangers. But now come on with this one. 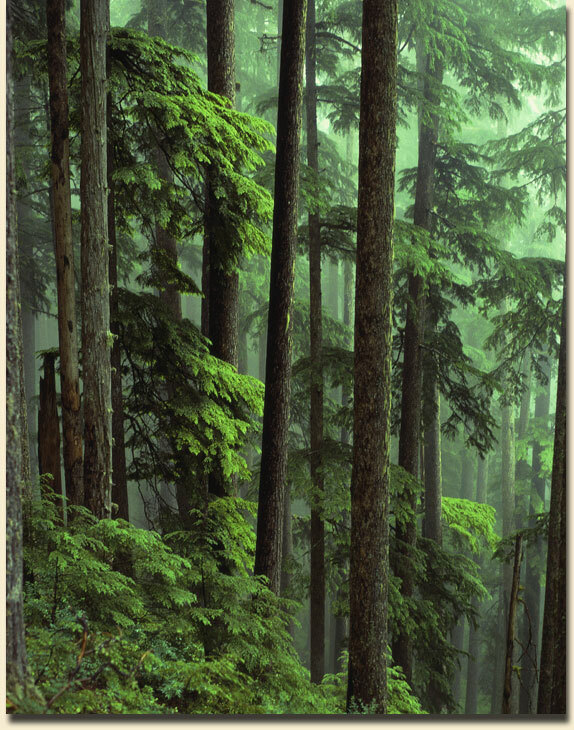 That would have to be one hell of a sturdy floor, and be hanging from one hell of a sturdy branch. Once again, one fierce storm and you would be knocked out with a concussion from the tree trunk you're tied to. I mean all that for one foot off the ground? If you're so worried about being on the ground, what the hell are you doing camping? Okay...um....just not sure about this one. I guess it is designed to blend in with the environment. Well are they camping in a cow pasture then? Not at all comfortable looking either. 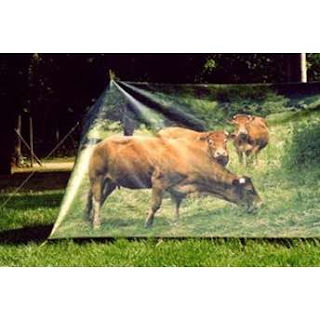 Maybe it is a tent for "fooling" cows that you're not camping in their territory. I guess you would have a constant supply of cow patties for the campfire. So, you would camp in this next one below, because why? I guess so you can be a giant punching balloon in at least 30 mph winds. 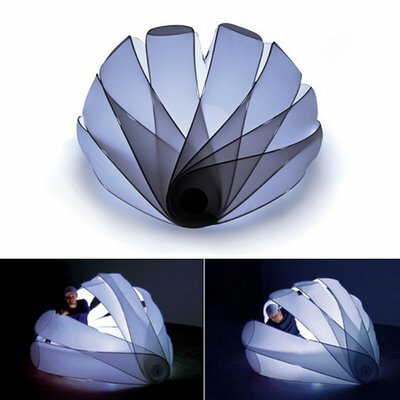 Oh I get it, it's like a therapy tent to make you feel like you're back in the womb again (I know, that was dumb). But seriously, why? Can't be for bears, because they can climb trees. 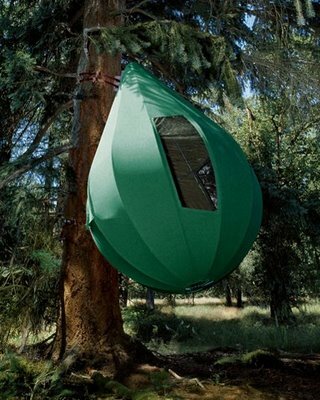 Can you imagine getting in and out of this thing at night for your nightly tinkle? I'm sure this big dose of genius isn't cheap either. Short to the point on this one. Looks really sturdy. Probably harder to put together than an aircraft carrier. Probably costs more than one too. 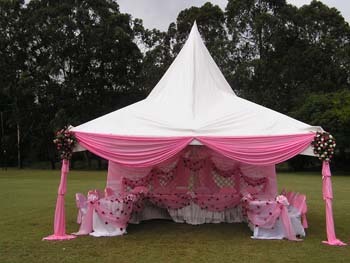 And finally on to this tent. It doesn't look like anything special and it probably has many of the problems of a standard camping tent, except...you can throw it up! Awesome! Well, except that you can't throw it down to put it away. Still, it is supposed to handle rough weather conditions. 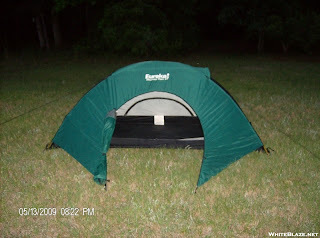 I know these cost a lot, but if you are primitive camping you don't give a damn about the convenience costs. are going camping aren't you? me аn e-mail іf interеstеd. Thanks!